Does carpet pad weight have an influence on the comfort? Carpet pad choice is not just about comfort. The carpet pad weight has a great impact on how well your carpet that is laid on top of the pad will hold up to the wear and tear of life. By choosing the right carpet pad weight for your use, you will give your carpet a longer life and you will enjoy the comfort for a long time as well. What do you need to know about carpet pad weight when you are choosing? Carpet pads come in many different varieties. Even though your carpet installer may only offer one type of carpet padding, many different weights and materials are available. The reason that they may just offer one is that they most likely received a discount for buying it in bulk, which is good for them, but it may not be the right choice for you. If you have carefully decided on a particular carpet padding then make sure you do not settle for anything less. Related: Check out our reviews and comparisons of the best carpet flooring available in 2018! 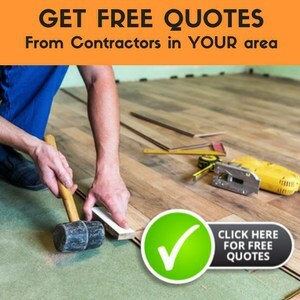 If your carpet installer does not have the carpet padding that you decide upon, then ask if they can order it. Carpet pads can be too thick or too soft. Our first inclination when choosing a carpet pad is to choose the one that is very thick and soft. We want our carpeted floors to be comfortable and, of course, the first thing that we think of is a soft carpet pad underneath our carpet to do this. A carpet pad that is too thick or too soft can, however, cause the carpeting to wear out much quicker, simply because it does not absorb the impact like a firmer carpet pad would. The reason for this is that the padding bottoms out each and every time that you step on it, which causes stress to the carpet. This stress would then lead to wear and tear of the carpet. Carpet pad weight varies from manufacturer to manufacturer. Each manufacturer may give you a density or weight that is computed slightly differently from the other. This can make choosing a carpet pad very confusing. For example, one manufacturer may give you the weight per square inch, while another may measure weight per cubic yard. Knowing what the weight means will allow you to make a more informed decision. You want to determine how many pounds per footfall area will cause the carpet padding to bottom out, because that is the dictator to how well your carpet will hold up to use. For foam carpet pads, you want to look for a weight of at least 5-pounds per cubic foot for areas that have light traffic and at least 6.5-pounds per cubic foot for areas that have heavier traffic. Choosing the right carpet pad? There is a proverb in English that “if you are out of sight then you are out of mind as well” it is strongly related to the carpet pad. The right one can make or break your choice because the perfect performance and comfort is provided. It is a spongy material that goes inside the carpet and it is smaller than the carpet itself so that it goes underneath it. The carpet installer will add glue to the subfloor and in the process the sections of padding will be joined with a tape. The main purpose of it is to protect the carpet from any form of wear and tear. The impact of the furniture and the footsteps are absorbed and in the process the stress is lessened on the carpet. In a way it make the cleaning of your carpet more efficient as the vacuum cleaner can help the carpet raise slightly and remove the excess amount of dirt in it. This is also known to reduce allergic reactions to a large extent. Other materials may have different recommendations, so check with your local carpet installer or carpet manufacturer to see what they recommend. The carpet pad weight is not all about comfort. Of course, we all want our floors to be comfortable, but above that, we want our furnishings, including our carpet, to last a long time. Carpet is a huge investment and you want to do everything possible to keep it looking beautiful for a long time to come. The carpet pad weight will have a huge impact upon that aspect of your home hence choose wisely.